RoundWorld Solutions (RWS) offers the most comprehensive mobility services to mid-sized and large corporations. There is an ever increasing appetite for data generation and consumption from various organizational departments. In addition, these various departments within an organization are requesting new data amidst an abundance of legacy data. All of these factors, juxtaposed with the explosion of mobile devices and BYOD (bring your own device) in corporate settings, creates a complex set of data issues. RWS provides mobility and analytics expertise to synthesize, leverage, and effectively deliver on all mobile device platforms. RWS understands that an accurate and rapid response to customer and stakeholder needs with regards to mobile devices is a key metric for competitive advantage and customer market share. RWS provides consulting services and expert resources to build high performance mobile organizations that account for these drivers of mobility. However, businesses must incorporate additional factors to optimize their businesses for mobility. Mobile platforms (e.g., MEAP (Mobile Enterprise Application Platform), Cloud, native OS, Web OS) and devices (e.g., smart tablets, smartphones, smart vehicles) to support. Mobile solutions are enabling increased productivity, sales, and security for all kinds of companies. With the freedom to do business whenever and wherever, enterprise mobility is at the core of many corporate strategies. Please contact your RWS representative below to discuss how our mobility strategy can greatly increase productivity, sales, and security within your company. RoundWorld Solutions (RWS) has engaged with the industry leaders in Healthcare and Pharmaceutical industries addressing various Information Technology and Data warehousing needs. As the next logical step RWS believes that by intelligent harvesting of this data infrastructure, strategic and tactical business decisions can be made more effectively. RWS understands the growing pressure on Healthcare and Life science companies from business and regulatory issues, fuelling the need for business transformation. In addition, the rapid pace of Mergers and Acquisitions, Patent expiration, and complex legal and regulatory environment is demanding new strategies and tactics to win in the marketplace. RoundWorld Solutions works with clients to leverage both structured and unstructured data analytics to frame and answer the right questions so that all business decisions are effective and maximizes revenue and asset utilization providing maximum positive outcomes. RWS engages with its technology partners to use the right tools and processes to create and play out the possible scenarios to maximize the outcome to align with the company business strategy. The answer to how to successfully implement an enterprise mobility platform is through complete Governance. A 360 degree view of your enterprise mobility initiatives is an essential step in ensuring your data is protected, gets to the proper personnel, and is pertinent in improving patient care. Healthcare is at the cusp of major changes as the Affordable Care Act legislation becomes a reality and unfolds healthcare services to millions of new customers. The best healthcare services companies will leverage these trends to deliver affordable new healthcare services to patients and customers, which will be very customer-centric. RoundWorld Solutions can assist in your business and IT strategy development and implementation for the cutting edge IT healthcare system. RoundWorld Solutions and its technology partners will engage with you to frame the right questions and provide answers establishing the process and procedure to leverage the data and maximize the outcome. The manufacturing industry has gone through a sea of change in the last few decades with extensive production automation and enterprise wide IT adoption. This has yielded impressive productivity and financial gains along with high quality and improved channel efficiency. Many of these manufacturing companies have tons of production line data, customer data and market data. Successful manufacturers already gather tremendous amounts of valuable data either manually or through automation, as part of their manufacturing process. These vast quantities of valuable data can be the fodder for business intelligence analytics and with the adoption of mobility technology if required, to further enhance productivity and financial gains. 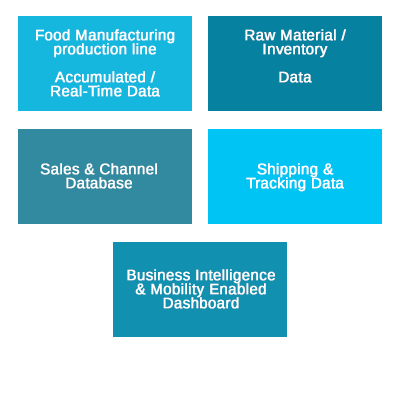 By applying mobility technology for real time data gathering along with business intelligence to slice and dice the raw material inventory data, manufacturing process data, finished goods data; in conjunction with shipping data and product demand data, a comprehensive data dash board can be created to maximize profitability by playing what if scenarios. 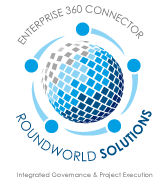 RoundWorld Solutions (RWS) and its partners have extensive experience working with IT needs of manufacturing organizations and the integration of mobile technologies. The IT solutions provided by RWS and its partners range from production line automation, enterprise IT for inventory and production, capacity expansion, IT enablement for order fulfillment, and finally sales tools and business services integration. RWS understands the unique IT and business needs of the manufacturer. RoundWorld Solutions (RWS) and its partners have extensive experience working with IT needs of food technology industries. The IT solutions provided by RWS and its partners range from production line automation, enterprise IT for inventory and production, capacity expansion, IT enablement for order fulfillment, and finally sales tools and business services integration. RWS understands the unique IT and business needs of Food industry. Food technology industry has gone through a sea of change in the last few decades with extensive production automation and enterprise wide IT adoption. This has yielded impressive productivity and financial gains along with high quality and improved channel efficiency. Many of the food technology companies have tons of production line data, customer data and market data. Food industry has additional customer driven matrices like color, shape, taste, freshness and others which play a crucial role in the enterprise decision making for productivity. Successful food manufacturing industries already gather tremendous amounts of valuable data either manually or through automation, as part of their manufacturing process. These vast quantities of valuable data can be the fodder for business intelligence analytics and with the adoption of mobility technology if required, to further enhance productivity and financial gains. 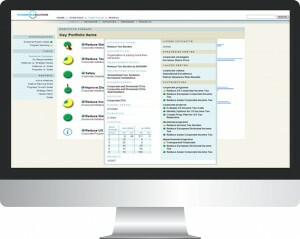 By applying mobility technology for real time data gathering along with business intelligence to slice and dice the raw material inventory data, manufacturing process data, finished goods data; in conjunction with shipping data and product demand data, a comprehensive data dash board can be created to maximize profitability by playing what if scenarios. Managing daily production operations and inventory at its optimal level, food industries can gain significant competitive advantage compared to its peers by cutting down waste and excess inventory along with providing better channel response with products they need at the right time. There are several steps needed to achieve this level of optimization based on reality. The reality is many a time data is scattered over many organizational groups in various forms and platforms. The data quality could be poor or needs reformatting. Accessing these islands of data and bringing them together as a master data file will be crucial. Since there are plethora of Business Intelligence (BI) tools with different cost points, learning curves, analysis capabilities, and data requirements picking the right BI tool to meet the business needs is crucial. Since ERP (Enterprise Resource Planning) data base and several other IT tool based data bases will be used in the analysis most of the functional organizations within the company will be involved this analysis; and getting their buy in is absolutely crucial for the success of the BI projects. Hence enunciating of the benefits accrued to each of the stakeholder group is extremely crucial for solid buy in. RoundWorld Solutions (RWS) can assist Food Technology customers to choose, adopt and integrate mobility technologies and business intelligence tools to improve the bottom line of the company leveraging the existing data. As an outside entity, RWS can also engage with all stakeholders within the organization to bring in an unbiased perspective that enhances the bottom line for the entire organization. As the rapid adoption of tablets and smartphones increase in the work place as a strategic advantage, RoundWorld Solutions (RWS) and its partners have designed and delivered mobility solutions. RWS mobility solutions execution is based on strategic interests and value generation for the clients. Custom-made mobile apps streamline work by improvement in customer engagement, driving sales and employee productivity, RWS team works with your organization to leverage mobility solutions to assist in reaching your strategic business goals. 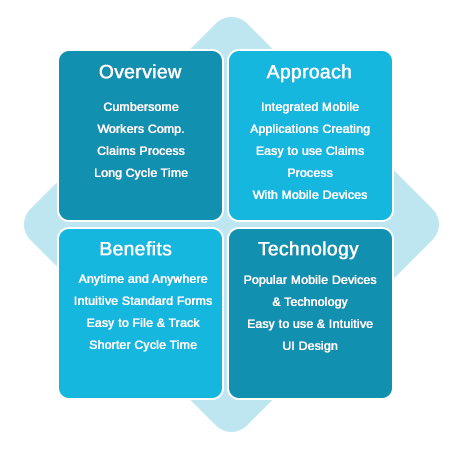 RWS can provide end to end solutions to analyze, design, implement, and monitor mobile strategy for your organization. RoundWorld Solutions (RWS) will work with your organization at every step in helping you match pace with the mobility trends by enabling the power to remain always on and be connected to your customers, employees, and all stakeholders. RWS and its partners will work with you to customize mobile applications to empower your organization to connect, collaborate and co-create with all stakeholders to leverage the IT investment. RoundWorld Solutions (RWS) and its business partners have participated in several Mobility projects involving strategy, design and deployment. RWS team brings in deep mobility knowledge and experience. The ubiquitous mobility strategy is to provide all the stakeholders the most appropriate information all the time, anywhere on any device. This project involved enabling cabin crew of a major airline to file reports and fill out forms using mobile devices; this data is used extensively by operations and customer service organizations. Mobility enabled implementation helped cabin crew to fill out forms effortlessly and improved data gathering and employee satisfaction. This project involved providing an easy way to file, monitor and assess claims forms and status. It provided various touch points for different users using variety of mobile devices.